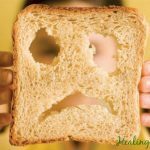 In previous articles, we have discussed the negative effects of a high-carbohydrate diet and chronically-high insulin levels. Today, let’s focus on fats… in particular, one of the healthiest fats you can consume and the positive effects it can have on your body. I will also share with you the most potent (and surprising) sources of this healthy superfat. You’ve certainly heard the adage, “You are what you eat.” This is especially true when it comes to fats. The type of fat in your diet dictates the type of fat in your cells. In other words, you literally become what you eat. The make-up of fat in a healthy human body is normally about 97 percent monounsaturated and saturated. The other 3 percent should be polyunsaturated (half of which should be omega-3 and the other half omega-6). That means that omega-6 fats should make up only about 1.5 percent of your total calories. It has been shown that approximately 80% of the fats consumed in the United States are omega-6 fats. Today, the average American eats more than 75 pounds of these industrial fats each year! These are primarily found in vegetable, corn and seed oils, which are the primary ingredients in most commercial sauces, dressings, chips, snacks and all manner of processed foods. Conventionally-raised meats are also very rich in these unhealthy fats due to the corn- and soy-rich diet on which these animals subsist. When you consume these extracted and concentrated oils, your cell membranes incorporate their molecules. The problem is that they are highly unstable, vulnerable to oxidative stress and prone to causing inflammation. These fats (along with the dreaded “trans fats”) also inhibit the natural permeability of the cellular wall. It becomes more difficult for nutrients to enter the cell… while waste products and cellular debris are unable to exit. As you can imagine, this is a virtual prescription for cancer, heart disease, diabetes, obesity, cataracts and macular degeneration, auto-immune disease, wrinkled and cancer-prone skin… and the list goes on. Healthy fats, on the other hand, are essential for cellular health. They improve your ability to absorb nutrients from your food, they reduce inflammation, and they can even help to balance blood sugar and foster weight loss. And one of the most important of these is monounsaturated fatty acids (MUFAs). MUFAs Don’t Readily Oxidize: Chemically speaking, monounsaturated fats contain a double bond. This makes them very stable (even in the presence of heat) and much less prone to oxidation than omega-6 fats. Antioxidant Benefits: The foods rich in MUFAS are generally rich in antioxidants, minerals and phytonutrients, including magnesium, selenium, vitamin E and phenolic compounds, as well as lutein and zeaxanthin (two potent antioxidant carotenoids). MUFAs Reduce Inflammation: A study published in the American Journal of Clinical Nutrition examined data from 690 women in the Nurses’ Health Study. Researchers found that higher “diet quality” scores – particularly on the Mediterranean Diet Index – were associated with much lower markers for inflammation and endothelial dysfunction (endothelial cells are those that line inside of blood vessels). In 2005, Greek scientists studying more than 3,000 men and women found those eating a diet closest to the traditional Mediterranean diet had 19% lower oxidized LDL levels than those with the lowest adherence to the diet. This diet also showed the greatest positive effect on the dilation of blood vessels. A study published in Public Health Nutrition found that women getting the most monounsaturated fat had a significantly lower risk of breast cancer than those getting the least. Another study, published in Cancer Causes and Control, found that men who consumed the most MUFAs experienced the greatest reduction in prostate cancer risk. According to a study in Diabetes Care, when test subjects ate a carbohydrate-enriched diet, they accumulated fat in the abdomen. When they ate a diet that had more MUFA, abdominal fat decreased (even without exercise!). A study published in the American Journal of Clinical Nutrition: After six months on a MUFA-rich diet, the insulin levels of test subjects were reduced by 9.4% and the insulin resistance score was reduced by an average of 12.1%. Another study showed similar reductions in fasting insulin levels in subjects diagnosed as insulin resistant. So, what are the best sources of these healthy fats? You’ve probably heard that olive oil is an excellent source of monounsaturated fat. This is true in some cases. But what you might not know is that independent researchers recently tested numerous olive oils for their potency and purity. As reported in the New York Times, they found that nearly 70% did not match the nutritional content reported on the label. In fact, some of these “olive oils” were found to contain other refined oils… and even green food coloring! Macadamia nuts and macadamia nut oil are also excellent sources of MUFAs, as are avocados and avocado oil. But here’s something that may surprise you: Some of the best sources of monounsaturated fats don’t come from plant sources at all… but rather from animal origin. What’s more, sources of monounsaturated fats from animal origin (including duck fat, lard and tallow) are also more stable under heat, thanks to higher levels of beneficial saturated fats. This makes them an ideal choice for cooking. Choosing an ancestral diet rich in healthy fats (in the right ratios) is one of the best things you can do for your health. Here are a more than a few delicious ideas for adding more of these health-boosting fats, plus a full spectrum of other beneficial nutrients to your diet… sear grass-fed steaks and sauté veggies in beef tallow… enjoy a fresh arugula salad with avocados and olive, avocado, or macadamia nut oil… enjoy a breakfast of farm fresh eggs and grass-fed beef sliders… and keep some delicious macadamia nuts around for snacking. Bon Appetit! 1. "Extra Virginity: The Sublime and Scandalous World of Olive Oil" by Tom Mueller (Atlantic Books in the U.K.) 2. Fallon, Sally, and Mary G Enig, PhD, "Tripping Lightly Down the Prostaglandin Pathways," Price- Pottenger Nutrition Foundation Health Journal, 1996, 20:3:5-8 3. Fallon, Sally, and Mary G Enig, PhD, "Diet and Heart Disease—Not What You Think," Consumers' Research, July 1996, 15-19 4. Simopoulos AP, Leaf A, Salem N, Jr. Workshop statement on the essentiality of and recommended dietary intakes for Omega-6 and Omega-3 fatty acids. Prostaglandins Leukot Essent Fatty Acids. 2000;63(3):119-121 5. Kris-Etherton PM, Hecker KD, Binkoski AE. Polyunsaturated fatty acids and cardiovascular health. Nutr Rev. 2004;62(11):414-426. 6. Mozaffarian D, Ascherio A, Hu FB, et al. Interplay between different polyunsaturated fatty acids and risk of coronary heart disease in men. Circulation. 2005;111(2):157-164. 7. Cortés B et al. “Acute effects of high-fat meals enriched with walnuts or olive oil on postprandial endothelial function.” J Am Coll Cardiol. 2006 Oct 17;48(8):1666-71. Epub 2006 Sep 26. 8. Perona JS et al. "Virgin olive oil reduces blood pressure in hypertensive elderly subjects." ClinNutr. 23, 5:1113-21, 2004. 9. Assies J, Lok A, Bockting CL, Weverling GJ, Lieverse R, Visser I, Abeling NG, Duran M, Schene AH. Fatty acids and homocysteine levels in patients with recurrent depression: an explorative pilot study. Prostaglandins Leukot Essent Fatty Acids. 2004 Apr;70(4):349-56 10. Baer DJ, Judd JT, Clevidence BA, Tracy RP. Dietary fatty acids affect plasma markers of inflammation in healthy men fed controlled diets: a randomized crossover study. Am J Clin Nutr. 2004 Jun;79(6):969-73. 11. Raymond R. Tjandrawinata, PhD, of UCSF, Chai-Fei Li, BA, of SFVAMC, and Sina Sayyah, BA, of SFVAMC and UCSF Omega-6 Fatty Acids Cause Prostate Tumor Cell Growth In Culture. Science- Daily. 12. Soriguer F, Rojo-Martinez G, Dobarganes MC, Garcia Almeida JM, Esteva I, Beltran M, Ruiz De Adana MS, Tinahones F, Gomez-Zumaquero JM, Garcia-Fuentes E, Gonzalez-Romero S. Hypertension is related to the degradation of dietary frying oils. Am J Clin Nutr. 2003 Dec;78(6):1092-7. 13. Jenkins DJ, Kendall CW, Marchie A, Faulkner DA, Josse AR, et al. Direct comparison of dietary portfolio vs. statin on C-reactive protein. Eur J Clin Nutr. 2005 May 18; [Epub ahead of print]2005. PMID:15900306. 14. Jerling JC et al. “A systematic review of the effects of nuts on blood lipid profiles in humans.” J Nutr. 135, 9:2082-9, 2005. 15. Staprans I, Pan XM, Rapp JH, Feingold KR.The role of dietary oxidized cholesterol and oxidized fatty acids in the development of atherosclerosis.Mol Nutr Food Res. 2005 Nov;49(11):1075-82. 16. Pitsavos C, Panagiotakos DB, Tzima N, Chrysohoou C, Economou M, Zampelas A, Stefanadis C.Adherence to the Mediterranean diet is associated with total antioxidant capacity in healthy adults: the ATTICA study.Am J Clin Nutr. 2005 Sep;82(3):694-9. 17. Paniagua JA, Gallego de la Sacristana A, Romero I, Vidal-Puig A, Latre JM, Sanchez E, Perez-Martinez P, Lopez-Miranda J, Perez-Jimenez F. Monounsaturated fat-rich diet prevents central body fat distribution and decreases postprandial adiponectin expression induced by a carbohydrate-rich diet in insulin-resistant subjects. Diabetes Care. 2007 Jul;30(7):1717-23. Epub 2007 Mar 23. 18. Babio N, Bullo M, Salas-Salvado J: Mediterranean diet and metabolic syndrome: the evidence. Public Health Nutr 2009; 12(9A): 1607-17. 19. Giugliano D, Esposito K: Mediterranean diet and metabolic diseases. Curr Opin Lipidol 2008; 19(1): 63-8. 20. Giugliano D, Ceriello A, Esposito K: The effects of diet on inflammation: emphasis on the metabolic syndrome. J Am Coll Cardiol 2006; 48(4): 677-85. 21. Seth Rakoff-Nahoum. Why Cancer and Inflammation?Yale J Biol Med. 2006 December; 79(3-4): 123–130. 22. Hussain SP, Harris CC. Inflammation and cancer: an ancient link with novel potentials.Int J Cancer. 2007 Dec 1;121(11):2373-80. Where does coconut oil fit into this, I use it extensively in cooking! I do use Avocado oil for frying but mainly for baking bread made from ancient kinds of wheat as I cannot tolerate modern wheat after years of systemic inflammation and an autoimmune response. Thank you for your comment. Coconut oil and avocado oil are two of my favorite fats, along with duck fat, tallow and lard. Coconut oil is a saturated fat with numerous anti-inflammatory properties and great for cooking and baking. Because coconut oil is high in medium chain triglycerides, it is used by the body as energy and not stored as fat.